Charles Wortmann, University of Nebraska–Lincoln agronomy and horticulture professor and Nebraska Extension soil and nutrient management specialist, received the American Society of Agronomy International Agronomy Award Nov. 5 at the ASA and Crop Science Society of America meeting in Baltimore, Maryland. This award recognizes outstanding contributions in research, teaching, extension or administration made outside of the United States by a current agronomist. 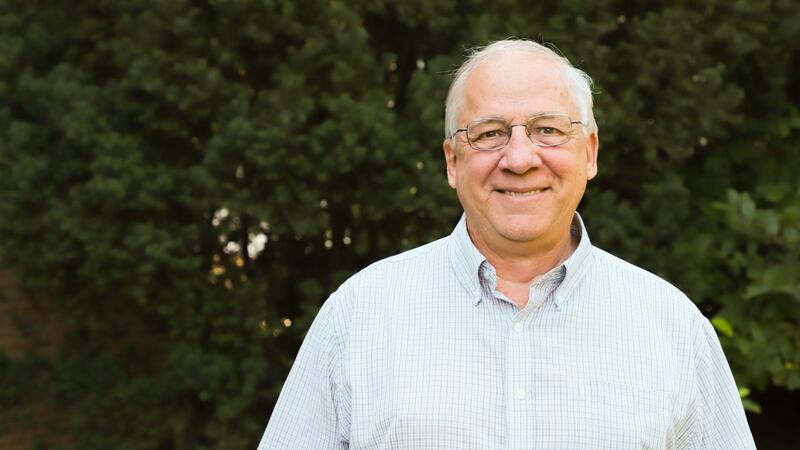 Wortmann’s prestigious career has focused on improving nutrient management, soil conservation and the environmental integrity of crop production systems in sub-Saharan Africa and to a lesser extent in Latin America and the Caribbean. Human and institutional enhancement from research and Extension on smallholder agriculture in Africa has been Wortmann’s career priority. His collaborative work with researchers, Extension specialists, multi-national networks and farm advisors in planning, designing and implementing information exchange has strengthened the expertise needed for leadership in providing sustainable solutions for African farmers. Despite the challenge of an applied, field-oriented research effort, Wortmann has established a well-funded program and a prolific publication record. According to Kenneth G. Cassman, emeritus Robert B. Daugherty Professor of Agronomy, Wortmann’s knowledge of African agriculture is the foundation of his high-quality field research. He is now a recognized leader in research to understand and predict response to fertilizer on financially constrained small-scale farms in Sub-Saharan Africa. Wortmann has contributed to numerous international research networks. He supported the East and Central Africa Bean Research Network activities in Extension, cropping systems, soil fertility and Farmer Participation in Research. He enabled Farmer Participation in Research in Uganda, Ethiopia, Tanzania, Madagascar, Kenya and Democratic Republic of the Congo. The East and Central Africa Bean Research Network evolved into the Pan-African Bean Research Alliance which Wortmann supported through consultancy. He initiated and led the interdisciplinary, seven-country Bean Improvement for Low Fertility in Africa for genetic improvement in nutrient use under low nitrogen, low phosphorus and aluminum toxicity conditions. Wortmann was instrumental in developing and implementing the 13-nation network for Optimized Fertilizer Recommendations in Africa for 14 food crops resulting in numerous publications and resources for optimal crop nutrient application. This was funded by the Alliance for a Green Revolution in Africa. OFRA provided a scientific basis for nutrient management in Africa. The benefits of OFRA have been extended to 15 countries and fertilizer use decision tools for determination of crop-nutrient-rate combinations for maximizing farmer profit have been deployed for 73 recommendation domains across the 15 countries. Wortman’s contributions to the Centro International Center for Tropical Agriculture and his leadership on the Optimizing Fertilizer Recommendations in Africa project and the United States Agency for International Development funded International Sorghum and Millet project focused on sorghum and millet production in Africa. But the defining feature of Wortmann’s contributions to agricultural development in sub-Saharan Africa is that so many of his ex-students and collaborators are currently active and at the forefront of integrated nutrient management in Africa. Many of his Nebraska graduate students were international students who returned to their home country better equipped to solve important challenges. He has also advised many other students who studied at African universities and has contributed to the education of thousands of African farmers and farm advisors. Wortmann was awarded Fellow of the American Society of Agronomy in 2011. See the original post from the Department of Agronomy and Horticulture here.